Chennai: February 08th, 2019: After a successful TTF Summer Ahmedabad, TTF Summer moves down south to Chennai. As a part of Fairfest Media’s new TTF branded shows, Chennai is ready to host its first ever TTF Summer from February 8 to 10. TTF, the biggest travel show network in India since the last 30 years is all set to facilitate travel traders to meet and market their travel products by providing them the right opportunity. Travel businesses across India can connect and conduct business under one roof at TTF Summer Chennai being held at Chennai Trade Centre. The 3-day TTF Summer Chennai edition has strong participation of 125 exhibitors from 8 Countries and 19 Indian States and Union Territories. Over 10,000 trade visitors and end travellers are expected to walk in this edition. The domestic tourism sector continues to extend strong support to TTF Summer Chennai as the most effective and countrywide platform for marketing and promotion of travel and tourism. 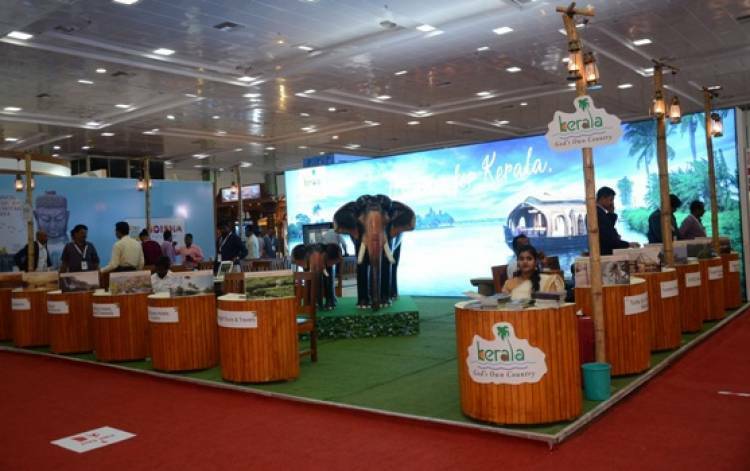 The show has official participation from the State Tourism Boards of Andhra Pradesh, Goa, Gujarat, Himachal Pradesh, Jharkhand, Kerala, Lakshadweep, Odisha and the host state, Tamil Nadu. Many other Indian States and Union Territories such as Andaman & Nicobar, Delhi, Haryana, Jammu & Kashmir, Karnataka, Maharashtra, Meghalaya, Uttar Pradesh, Uttarakhand and West Bengal will be represented through travel suppliers. Nepal has a big presence at the show as the Partner Country with a number of private stakeholders to showcase its diverse tourism offerings to the trade visitors. Other countries such as Bhutan, Japan, Malaysia, Singapore, UK and Greece are being represented through Destination Management Companies (DMCs), travel operators and hotel brands. Putting their best foot forward with a good presence are exhibitors like Rayna Destination Management, Raviz Hotel, Yeti Airlines, Club 69 Estrela Do Mar Beach Resort, Spiceland Holidays & Entertainments Pvt Ltd, Quality Holidays and Cars Pvt Ltd, Joy's Resorts & Hotels, Scenic Japan Tours Co Ltd, Sealord Group of Hotels, Ren Tours and others. Tamil Nadu is the Host State for TTF Summer Chennai whereas, the Partner States are Odisha, Gujarat, Kerala and Himachal Pradesh. Andhra Pradesh, Goa, Jharkhand are the Feature States. Make My Trip is the Holiday Partner for the event while Swiss Tours is the Featured Exhibitor. TTF Summer Chennai will act as a platform for the travel trade from the Chennai city and the state of Tamil Nadu as a whole, to network and do business with national and international travel and tourism organisations. It also presents an opportunity for travel enthusiasts and holidayers to check out the best destination options and deals in tour packages, hotels etc., and book on-the-spot for their next summer holidays. TTF Summer Chennai is supported by travel industry bodies like Incredible India, Travel Agents Association of India (TAAI), Outbound Tour Operators Association of India (OTOAI), Adventure Tour Operators Association of India (ATOAI), Association of Domestic Tour Operators of India (ADTOI), Indian Association of Tour Operators’ (IATO), IATA Agents Association of India (IAAI), SKAL International and Enterprising Travel Agents Association (ETAA). TTF Summer Chennai will be followed by TTF Summer Bengaluru from February 15-17 and TTF Summer Kolkata from February 22-24. Indian Rupee exchange rate Today,The overall Indian rupees exchange rate today 28-09-16.